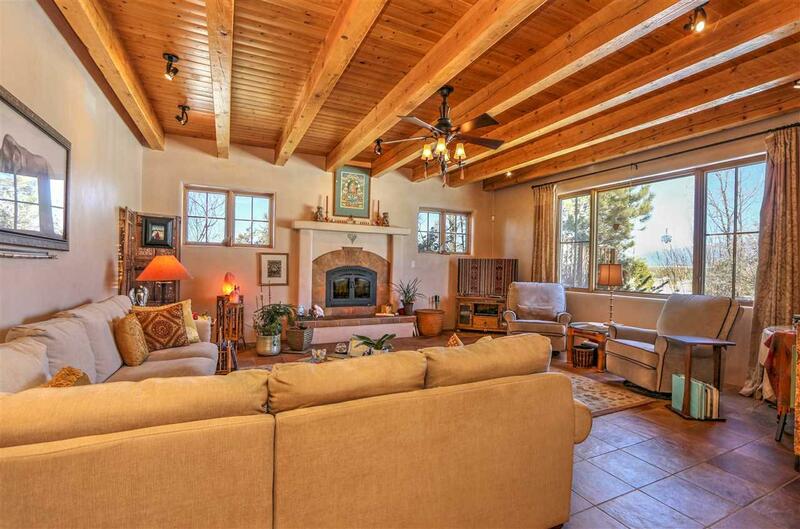 This Custom, Northern New Mexico, farm to table home, is perched on a knoll with surrounding majestic views and is only 3 minutes to Taos Plaza, (1.2 miles) in the coveted hamlet of Canon. This attention to detail home features a radiant heated, split floor plan with two master suites, a chefs kitchen, upscale stainless steel appliances, custom built hardwood cabinets in the kitchen and bathrooms, a high beamed ceiling in the living room with a catalytic converter fireplace, a dining room with French, sliding glass doors, opening to a covered portal and breathtaking views of Taos Mountain. The home is enveloped by a three-sided wraparound, covered portal for that indoor-outdoor Taos living. A lovely, one bedroom guest apartment with unobstructed views of the mountains sits above an over-sized, two car, in-floor radiant heated garage, and is perfect for visiting family or friends. 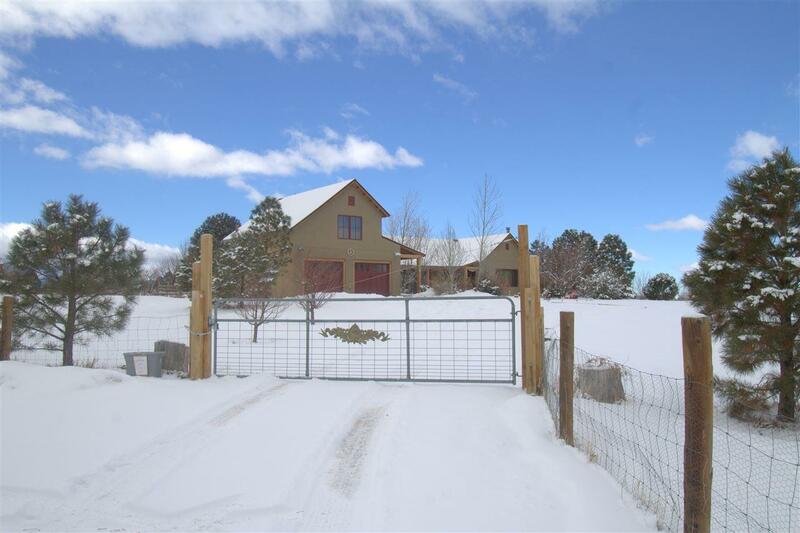 This property is situated on 3.81 acres of lush, irrigated valley land with water (Acequia) rights and 195 +/- trees, and perfectly planned, manicured flower beds that start blooming in early spring until the last roses bloom in late fall. There are many vegetable beds, on a timed irrigation system, and over 40 mature, producing fruit trees. There is plenty of room on this property with zoned agricultural acreage, if you want to bring your horses, or just need room to roam. Topping it off, this house has fiber optics and a separate studio/office. Look no further. 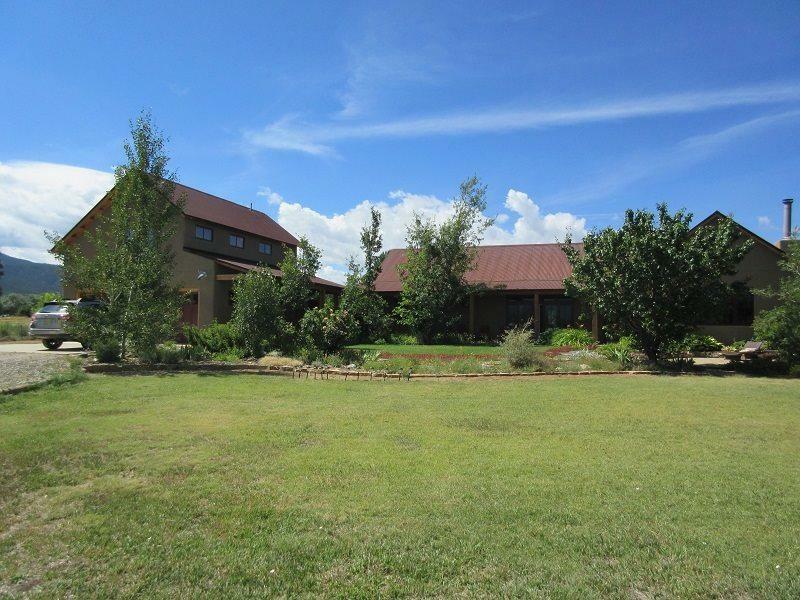 verdant acreage with views, trees, irrigated land, perennial gardens and a custom built home with all the modern conveniences. 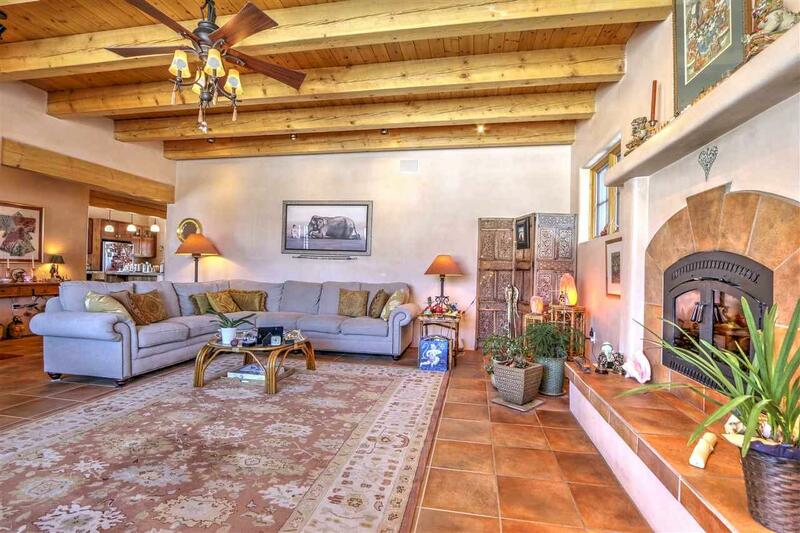 Live the ultimate Taos lifestyle on this farm to table property that sits on a lilac lined Acequia, in a country setting that is only 3 minutes to Taos Plaza.